MANILA, Philippines — The dreaded tubercle bacillus bacterium remains a prevalent threat to the health of the local populace, with at least 75 Filipinos and as much as 90 dying everyday from tuberculosis. Worldwide, an average of 9 million people succumb to the dreaded disease each year, 10 to 15 percent of whom are children, while the Philippines has ranked 9th among 22 high-burden nations for TB all over the world. Representatives from the Department of Health, the Philippine Coalition Against Tuberculosis, the Pediatric Infectious Disease Society of the Phils. Inc., the Armed Forces of the Philippines Medical Center, and the World Health Organization disclosed these data for the recent national celebration of World TB Day in Metro Manila and Cebu late last month, capping this year’s commemoration since it started in 1997. Through the corporate-led Philippine Business for Social Progress as the principal recipient for its TB program, the international public-private partnership Global Fund to Fight AIDS, Tuberculosis and Malaria has aimed to sustain TB control and ensure access to comprehensive quality TB health care in the country. In a forum in Cebu City, PBSP said the project goal is to reduce the prevalence, incidence, and mortality of TB beyond 50 percent after 2010 from a baseline established in 2000 to support the Millennium Development Goals for poverty alleviation. The Cebu forum included PBSP executive director Rapa C. Lopa, director Jaz Gutierrez, and project manager Eric Camacho. Col. Joselito P. Avanceña, commander of the AFP Medical Center, recently told participants at the center’s covered court in Quezon City that TB remains the 6th greatest cause of mortality in the country, with about 75 to 80 Filipinos dying everday because of the disease. Dr. Woojin Lew, a representative from WHO, revealed that in 2010 there were a total of around 13,000 multi-drug resistant TB cases in the Philippines, with only about 5,000 of them presenting themselves and registering for treatment. And with around 95 percent of the total cases not yet fully treated, Lew stressed that there needed to be “new diagnostic measures” as well as “same day diagnostic, same day X-ray, (and) same day treatment” to fully eliminate TB. DoH Assistant Sec. Gerardo Bayugo cited the fact that children had most especially been vulnerable to the disease as they easily got infected because of domestic contacts with family members infected with the bacteria. Bayugo said TB would always be difficult to diagnose among children especially with changes in standards and guidelines. Among these changes were on the 2004 DoH guidelines on how the disease should be treated among children through the National Childhood TB Program, and the WHO-revised guidelines of DoH Order 2008-001. On 21 March 2003, Exec. Order No. 187 was issued instituting a comprehensive and unified policy for TB control. In the 3rd quarter of 2010, at least 44,000 children had been screened for TB, with almost 10,000 initiated for treatment and 3,000 under preventive therapy, Bayugo said. Col. Reynaldo Ireneo Lipat Jr., AFP Surgeon General and a certified medical doctor, cited the military’s commitment to fight TB under the leadership under AFP Chief of Staff Lt. Gen. Eduardo Oban Jr.
“We believe that it is a part of our social responsibility to participate in the effort to spread TB awareness, prevention, and cure,” Lipat said. According to the DoH, the country ranked 9th among 22 high-burden countries for TB with an estimated incidence of smear (+) cases of 133 per population of 100,000. The DoH first implemented the so-called Directly Observed Treatment Short-course strategy in 1996. 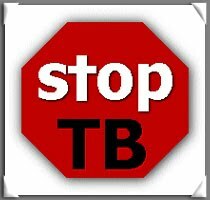 By 2003, the TB case detection rate was 68 percent with treatment success rate of 88 percent for the past three years. Aside from PBSP being the principal recipient, the TB program sub-recipients are the DoH Infectious Diseases Office, the DoH National Epidemiology Center, the DoH National TB Reference Laboratory, the Lung Center of the Philippines, the World Vision Development Foundation Inc., the Holistic Community Development Initiatives Inc., the Christian Action for Relief and Empowerment Inc., and PhilCAT.